It’s been a big week for Microsoft, with stories stacked to the gills as the company prepares for February 29th, the date in which betas for .Net 4.5, Visual Studio 11, and likely the Windows 8 consumer preview will be released. Yes, we are looking forward to that day. If you are wise, block out a few hours on that date to read, because the news will be running exceptionally hot. Now, let’s dig into the last seven days. As always, walk through the archives if you want the full picture, and be sure that you are following TNW Microsoft on Twitter and Facebook. An Office suite for the iPad is definitely coming, we think, maybe, and certainly. 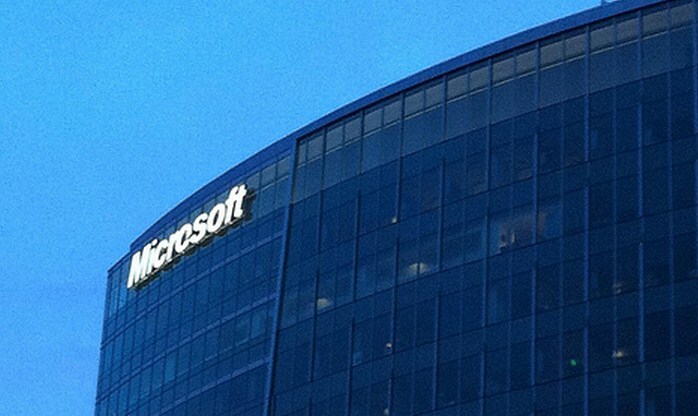 The Daily backed up its previous story that Microsoft is building Office for the iPad by putting out a new piece saying that it had used the software. Even more, it claimed that Microsoft would be submitting the apps in just a few weeks. Microsoft protested, softly, saying that the Daily was being fed bad information, but did not deny the existence of the product. It’s now assumed more than ever that Office for the iPad is on the way. When is the only question that matters. Expect a pile of $10 productivity apps to land on your Apple slate in the coming months. Every week is a big week for Windows Phone, as it is so young, and fights for space in a market with two tumultuous leaders. We’re going to do our usual roundup technique of ‘keeping it brief.’ Enjoy: Nokia Now World’s Biggest Windows Phone Vendor; Nokia Rolls Out Microsoft Apps to Belle Handsets; Microsoft’s New in Your Face Windows Phone Strategy; Conduit Boosts Windows Phone App Development; Nokia Building WP7 Device With Amazing Camera? ; The life and death of a smartphone rumor; Microsoft extends carrier billing deal with MACH as Canada’s TELUS comes on board; Nokia’s Lumia Line Pushing WP7 Search Traffic. That’s the short take. To summarize: things continue apace for Windows Phone. Microsoft is making big moves with SkyDrive, its consumer cloud storage product. It is bringing desktop sync to several versions of Windows. However, in Windows 8, it has deeper integration in mind. Roughly, Microsoft is building a SkyDrive Metro app for Windows 8, SkyDrive content will sharable via the Share Charm, and third-party apps will be able to interact with its contents. In short, every Windows 8 device is going to ship with a hard drive in the cloud. Microsoft is betting that consumers are ready for this sort of storage, and now. We should get a much better look at what the app looks like on the 29th, when Microsoft is set to roll out the consumer preview of Windows 8. Now get home and start the weekend!